Waterville Golf Club is one of the finest and most beautiful links in the world. 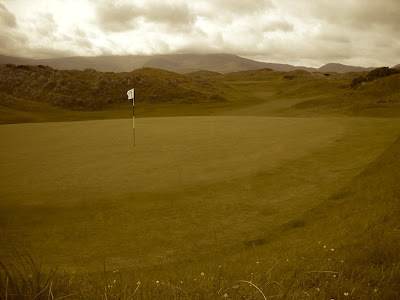 Set on the edge of the wonder that is County Kerry, the course is a mecca for golfers worldwide. But when was Waterville founded? A Golf Week article (January 19, 2012) by Martin Kaufmann, listed it at number four in the Top 40 GB&I golf courses built since 1960… i.e. the Modern era. It lists the designer as our beloved Eddie Hackett, and the date as 1973. I strongly suspect that Waterville GC would take exception, seeing as the course was established in 1889. It was one of the earliest courses to be played in Ireland and was one of the first clubs to be affiliated to the Golfing Union of Ireland. It’s history started with the hundreds of workers drawn to nearby Valentia Island to work on the first trans-Atlantic cable, which relayed messages between North America and Europe. The workers gradually migrated south towards Waterville, where golf was played in the winter months. Back then it was a nine hole course, and membership varied alongside the demand for cable communications. By the 1950s, such demand had evaporated and the links at Waterville fell dormant… ‘dormant’ being the important word. John A. Mulcahy, the Irish born American, ‘rediscovered’ Waterville in the 1960s and had a vision to build the world’s most challenging links. He asked Eddie Hackett to design this eighteen hole course, which Eddie did, brilliantly. The revitalised Waterville opened in 1973… which is where the Golf Week list comes in. I disagree that Waterville should be included in this ‘Modern’ list. Eddie Hackett’s course reconfigured and expanded the original holes to create today’s front nine. So, the question is, does reconfiguration and expansion make it a Modern course? Personally, no, it doesn’t. The provenance is too strong and too influential to the final design. The European Club (ranked 6th) was built in 1992 from scratch. There was no history to the place. The same applies to Carne (ranked 8th), built in 1995. These can’t be disputed, but the same issue of Modernity applies to Enniscrone (ranked 9th), founded in 1918. 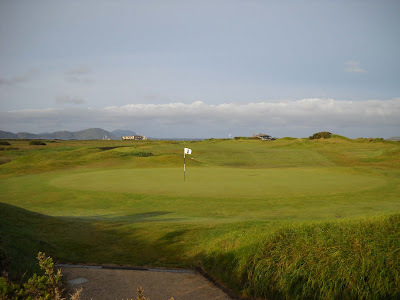 A course has always existed on the links, although the current 18 uses little of the old nine hole course. 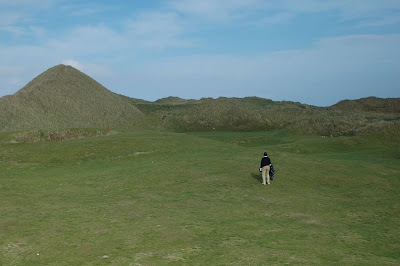 Like Waterville, however, I suspect Enniscrone wouldn’t be pleased to be regarded as a Modern course. It is also worth noting that Eddie Hackett played a major role in the design of Carne and Enniscrone. The K Club (Smurfit) 28… SERIOUSLY! very nice post, you have summed up Enniscrone very well. The diamond cost is also a great hotel which for a golf break to Enniscrone is a good choice as it sits looking out onto the course.